Hockley is the beating heart of Nottingham’s weekend party scene, and as such you’ll see dozens of bars vying for custom. So it’s nice to be able to step away from the gimmicks and enjoy some of the area’s more traditional watering holes. You can still find great ale here, and a growing craft beer scene. Continue reading or download this trail to your device. The Six Barrel Drafthouse is a good place to begin, as it’s very close to Nottingham’s tram network and plenty of bus routes. It’s a pretty even mix of cask and craft beer here – if you’re a fan of the latter head to the back of the bar and look inside the mahoosive fridge. Wander down Carlton Street and left on Broad Street to find The Hockley Rebel. This bar has had several incarnations over the years, but none of them ever made the grade for real ale. Thankfully, it’s now the main focus of the offer, and very welcome too. Head back up Broad Street and across to Stoney Street for the next venue. Craft also features heavily at the Angel Microbrewery, which has been transformed from a dungeon of sticky carpets to a well run bar with – as the name suggests – its own beers. Head down the hill to the bottom of Hockley and on the corner you’ll see the Bunkers Hill. Owned by the same folk as Six Barrel, this bar is often full of hockey fans during the season, with the Nottingham Panthers playing next door at the Arena. Next, you can follow the road around the corner or cut through the recently revived Sneinton Market to find The Fox and Grapes. Back in the day it used to open at first light to serve market traders. Fully refurbished, you’ll find a fine selection of Castle Rock beers and guest ales. Cross the busy Southwell Road and up Manvers Street to a real slice of Nottingham tradition. In the King Billy, you’re likely to meet some real characters and sample yet more fine cask ale. On a warm day, head up to the roof garden – an unexpected treat. Being so close to the city centre, Hockley is easy to reach. NET Trams run from Beeston, Clifton and Hucknall to the Lace Market stop, while NCT City Loop buses serve George Street, close to the Six Barrel Drafthouse. Bus services from the East stop on Southwell Road, near the Fox and Grapes. 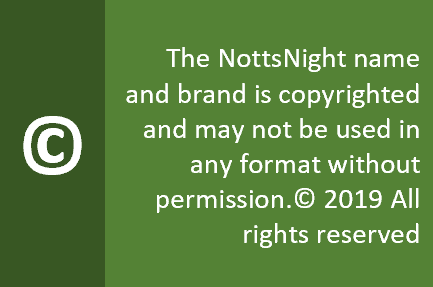 To plan your journey see the NottsNight Travel Guide. Note : Although not included on this trail, three Hockley bars also make the NottsNight grade, and all could be included as part of a wider pub crawl. See our full Hockley Page for details of the Curious Tavern/Lost Caves, the Lord Roberts and Annie’s. Previous Post Take me on a pub crawl!